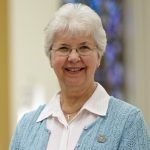 Sr. Judith Ann was reelected to the position of Congregational Leader in May 2017. She served as Major Superior from 1993-1997 and was elected to leadership again in 2013. Prior to that Sister was an integral member of the Sisters of Charity Health System. Sister was named President and CEO of the health system in 1998. In that position she oversaw all the sponsored ministries of CSA, including five hospitals, three foundations, services to the elderly, and community outreach ministries. Because of her election to community leadership, Sr. Judith Ann resigned from her position as President and CEO of the Sisters of Charity Health System in 2013. Sr. Judith Ann entered CSA in 1964. She began her career in health care as a pharmacy technician at St. Vincent Charity Medical Center before moving on to administration. Sr. Judith Ann received her Bachelor of Science degree in pharmacy from Duquesne University. She also has a Master’s of Science in Hospital and Health Services Administration from The Ohio State University. Sr. Marian Durkin returned to leadership in 2013 and in May of 2017 was elected as first assistant; she previously served as first assistant from 2001-2009. Sister became a certified Spiritual Director in 2005. She has directed retreats at the Jesuit Retreat House in Parma, Ohio and also works with a number of individuals in Spiritual Direction. She has helped direct Busy Student Retreats each year for Kent State University and at Case Western Reserve University, and has participated in parish retreats as the facilitator. She has also kept busy volunteering. Among the programs she is involved with are Samaritan Women and Ohioans to Stop Executions. Sister can be seen frequently at Playhouse Square where she is an usher. Sr. Marian entered CSA in 1955 from St. Mary Parish in Akron, Ohio. She has both a Bachelor’s and Master’s in education from St. John College. 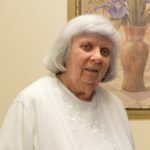 Sr. Marian taught elementary school for ten years, was on the faculty of St. Augustine Academy, a high school for girls, and was principal at St. Philip Neri elementary for six years. She was a co-founder of The Open House, a ministry for those afflicted with AIDS and their families. She continues her ministry to Gay and Lesbian Catholics with a yearly retreat. 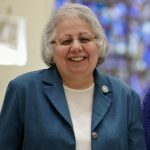 Sr. Mary Dorothy Tecca was elected a council member in May 2017. She is currently the Catechetical Leader at St. Mary Parish in Elyria, a position she will continue to hold. She has served there for 11 years. Previous to that, she was Pastoral Minister at St. Monica Parish in Garfield Hts. Ohio. Sister obtained a Master of Arts in Ministry from Ursuline College and has Cleveland Diocesan Pastoral Ministry Certification. Sr. Mary Dorothy entered CSA in 1960 from St. Rose of Lima Parish in Cleveland. She attended St. John College, Timken School of Nursing and Kent State University. She was a Licensed Practical Nurse, and has a Bachelor of Science in Food Management from Kent State. She is well known in the congregation as a baker, often making beautiful and delicious cakes for celebrations at Mt. Augustine. She was the Dietary Director at Mt. Augustine and at Parmadale. Sister also served in ministry for 5 years as Director of Volunteers at St. Vincent Charity Medical Center. © 2017 Sisters of Charity of St. Augustine. All Rights Reserved.